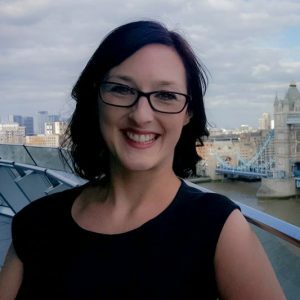 Debbie Forwood, Development & Communications Manager of the National Youth Jazz Orchestra (NYJO), talks about the charity’s first foray into legacy fundraising and why it’s starting now. What prompted you to join Remember A Charity this year? We’ve grown hugely in the past five years with some big ambitions so we’re exploring new income streams, including legacy fundraising. The baby boomer generation that grew up enjoying jazz is now at the age where people often think about leaving gifts in Wills, so this could be a great opportunity for us. But we’re very new to it so we are looking to Remember A Charity as experts to support us on our journey. What could a legacy income stream help you achieve? There is a lot that we hope legacies will be able to help us achieve in the future. 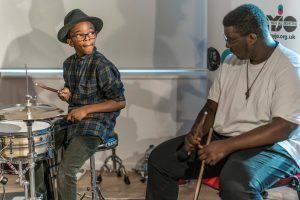 We’ve had small bequests in the past, but we’re hoping that legacies can contribute more towards our resilience; strengthening our core income and helping us ensure every child has the opportunity to play jazz. Do you think the potential with legacies is recognised within the arts/music sector? Absolutely! Many classical and operatic organisations have really latched onto legacies, and they have been a very important income stream for them for some time. The jazz industry in this country has some catching up to do and is only now exploring their potential. In that case, how are legacies perceived within your organisation, and among your supporters? They’re still a bit of an unknown but we’re committed to seeing what we can achieve with legacies, and this has really been embraced at board level. Many of our board members are also part of that baby boomer generation so it’s an idea that resonates with them. 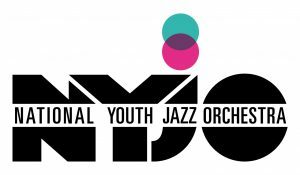 NYJO is over 50 years old so we have fans all over the country. On balance, bequests have come more from that fanbase than from regular givers. However, we’ve just started having conversations with these supporters with some very positive responses. Have you done any legacy fundraising so far? We launched our legacy scheme last year, and it’s great to have the procedures in place so that when someone tells us they’re thinking of leaving a gift in their Will, we know what to do. But this year will see our first proactive campaign since the launch. A short-term goal is developing our team’s skills in talking about legacies. We use our young musicians to talk to supporters and potential supporters at performances, as they are a powerful way of reaching our audience. We recently had success in making the fundraising ask from the concert platform, so we’ll try that with legacy giving too. Has anything surprised you in your journey so far? The biggest surprise is that it’s been less problematic than we expected! When we started, there were concerns about starting conversations about Wills, what to say and ask. But Remember A Charity has really helped us with finding the right words, and it seems to be going down well with our supporters. What benefits have you seen from joining Remember A Charity? As a small charity, we were attracted to Remember A Charity because it can help us reach new audiences. It provides a really useful platform for talking about legacies, and support to do so. Belonging to the campaign gives us a leg up, helping us to shout as loudly as bigger charities. This year, we’ll be participating in Remember A Charity in your Will Week and planning a campaign for the run-up that will target existing supporters as well as event audiences. And finally, what’s your advice for other charities exploring legacy fundraising? Set your systems up first so you’re ready to go, then get out there and learn from other charities that are already doing it well. There are some tremendously supportive peer networks on social media where people are very willing to share their experiences, so take every advantage!